This month, our featured guest is QT Luong. We want to express our thanks to QT for taking the time to answer our questions, and to share some of his work and experiences with us! Please visit his site links to see more of his wonderful work, and to let him know you enjoyed this interview. My father was a serious hobbyist who taught me some essentials. I won a photo contest (and a camera) around the age of 12. However, it was not before I started mountaineering in the early 80s that this interest took up in earnest. As a climber, and then mountain guide, I was initially interested in photography as a means to communicate to people who weren't there, the wonders I had seen on the high peaks of the Alps, and other parts of the world. I then realized that the type of mountain photography I was doing could be elevated to an art form through the words and images of Galen Rowell. From there, I studied photography on my own, mostly by reading lots of books and looking at lots of images. :: You've travelled the world quite extensively. 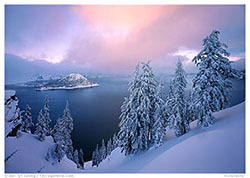 How did you get into the travel and landscape aspect of photography? As I got more interested in photography, trips began to be less about climbing and more about photography. When I came to the U.S., I discovered a variety of landscapes which were way beyond what I had seen in Europe. So it was a natural transition from climbing peaks to hike in deserts and forests. From there, it was only one step further in discovering new horizons and cultures. My first goal has always been to share my travels and experiences with others. Commercial photography is a challenge that I find interesting, but it is not about photographing what you experience. :: How much time do you put into planning a photography trip, and how much time do you schedule for spending in each location? Before a first trip, I spend almost half of the trip time researching. During the trip, besides photographing, I do also a lot of scouting and collect information at visitor centers (such as handouts that are difficult to get elsewhere) towards the next trips. Over the year I have accumulated a great deal of information which then makes it much easier and faster to plan. Unless the location is particularly remote and/or requires backcountry travel, I stay a few days at each location. I prefer multiple short visits rather than one long one, as this lets me see the place in various weather conditions and seasons. In general, I find it more interesting - and efficient - to adapt my image-making and subject selection to the conditions than to stick to a subject and wait for the conditions to cooperate. I've developed enough experience and understanding of the light that even in conditions that some may consider adverse, it is rare that I can not find something interesting to photograph. :: You've seen a vast majority of the U.S. National Parks; which has been your favorite, and why? Which one is high on your list to hit next? Although it is difficult to pick a favorite National Park, because they are so different, but if I had to choose one, this would be Yosemite. In 1993, after completing my PhD in France, I came to the US to conduct research in the fields of Artificial Intelligence and Image Processing. I didn't know much about the geography of the USA, but one of the few places I kept hearing about from other climbers was Yosemite. I chose the University of California at Berkeley, since of all the top US research universities, it was the closest to Yosemite. 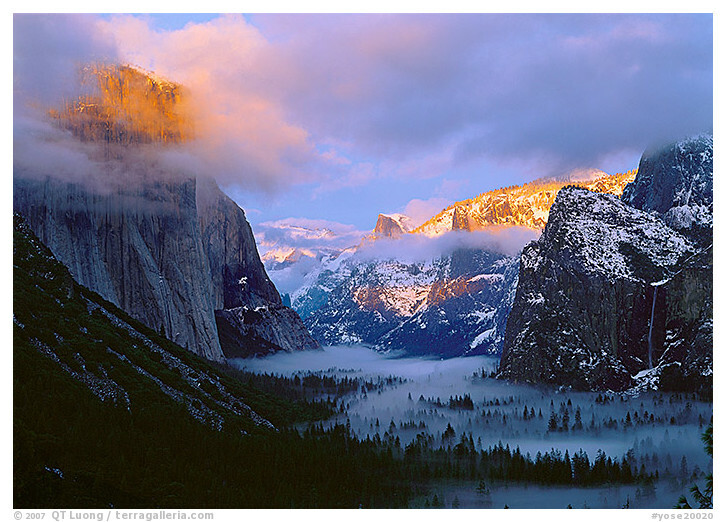 So besides its beauty, and the recreational opportunities it offers, what makes Yosemite dear to me is that it was the place that drew me to California, the first National Park I had heard of and visited, and the one I photographed the most extensively (see my newly released Yosemite book). :: Talk a bit about your travel schedule and what it's like to head out to that many places, and how far in advance do you look ahead and prepare? I used to travel many months per year, with up to two month-long trips and many shorter ones. Nowadays, because of family (I have two young children), I try to limit my trips to two weeks, and do about 4-6 of them in a year, in addition to some shorter ones in California. As explained before, many of my trips are repeat visits, for which I have already a database of information, so I don't have to look ahead too far in advance, which lets me adapt more easily to changing conditions. Often a few weeks advance is enough to make travel arrangements. :: In your blog you mentioned that 10 years ago you hadn't thought of living full time off your photography. What was your beginning goal with photography? How has the full time efforts affected your family life? To be precise, 2001 is when I began to envision photography as a possible career and to take steps towards that goal. 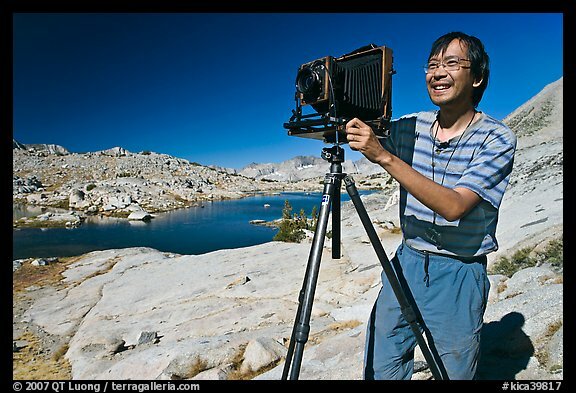 Before that point, I hadn't made any significant money in photography, but I already expended considerable efforts: I started my National Parks project in 1993 and by 2002 I reached the milestone of photographing in large format each of the 58 National Parks at least once. For some years, I was juggling between my career as a research scientist and photography. In some sense, it became actually easier on family life when I became a full-time photographer. It's hard because like any small business, it's a lot of work, as you are more invested and have to do everything yourself. However, as far as travel is concerned, I know friends working as consultants, or business representatives, who are away from home more often than I am. When I am on a photography trip, it's easier for me than for them to forget that I am away because I have such a great time. :: Which country posed the biggest challenges to you in terms of capturing good photographs? It had to be Vietnam, maybe because my origins being there, I felt compelled to create images that would represent the country exceptionally well. Although the photographic potential is immense, the country can appear chaotic. 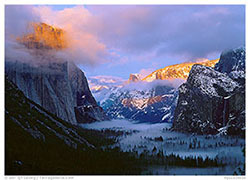 Unlike for, let's say, the US National Parks; in the 90s there was no published information about photography there. Vietnam had just opened to foreigners, so the travel infrastructure was still rudimentary. It had taken me months of travel to find the visual highlights of the country. 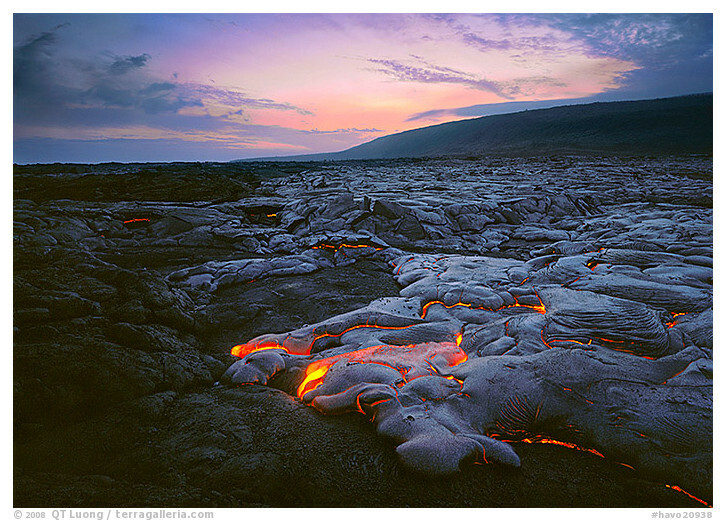 Now it is much easier, as there are even a number of photo tours offered there. I'll even be leading a Vietnam tour myself in the fall of 2012.
:: Out of all the places you've visited, would you share one particular scary or exciting day from one of your travels? In Wrangell-St Elias (a park six times the size of Yellowstone), walking alone from Kennecott, I navigated across the crevasses and streams of the Root glacier and climbed the steep scree slopes of Mt Donohue to get a commanding view of the wide local glaciers and of the entire Wrangell range, since I thought that only from the top the size of the enormous glaciers would be revealed. However, when I reached the top of Mt Donohoe, in late afternoon, the air was extremely hazy (due to wildfires). Despite not carrying with me sleeping gear (I had set camp at the base of the mountain), I decided to spend the night on the top. I shivered a bit, but unplanned bivies were something I had already endured during my mountaineering days. The view in the morning was great. :: What is your favorite piece of non-photographic gear that you carry with you when you travel, and why is it so important to you? A keychain-sized light (such as a Photon light) is most important since I'm often returning back in the dark without necessarily anticipating the situation. I have one attached to my camera strap, one on the camera bag zipper, one with my keys. :: You use both digital and film cameras. How do you use them both, how do their differences work for you, and do you have a preference between the two? With film, I work exclusively with the 5x7 large format camera, while in digital I currently use only small-format cameras (a pair of EOS 5D mk 2), so the differences go beyond film vs. digital. Both still have their place in my work. The 5x7 large format film camera provides the best image quality, in terms of the amount of detail recorded and the ability to control perspective and focus. This makes it possible to create photographs that are "hyper-real." However, because of its operation and the cost of each exposure ($8), you need to make choices before shooting, rather than doing so after the shoot. Using the large format camera has made me a more conscious and deliberate photographer, but since 2004 (with the Canon 1Ds mk2) I have fully embraced digital for its capabilities, and became proficient in all aspects of digital imaging, from capture to print. With digital you can create images which simply are not possible with the 5x7 camera thanks to high sensitivity, speed of operation, and choice of lenses. The lower weight of the equipment makes hiking and travel more enjoyable. :: Where are you planning to go next for photographs? As of summer 2011, I am excited about a trip with a friend to Gates of the Arctic National Park, hopefully to photograph the aurora, one of the great natural phenomena that I haven't seen yet. After looking at a lot of aurora images, I concluded that the ones I like the most were taken with reflections in water - that's not surprising, since those images involve a lot of sky, like sunsets. So unlike what is usually done, I am planning to travel just at the onset of winter, rather than during the deep winter months, when everything is covered in snow. After talking with local park rangers and bush pilots, I found out that there is a window of time consisting of just the two last weeks of September before the rivers may freeze, but when it is dark enough to see the aurora (there is no real night at the Arctic Circle during the summer). Out of those two weeks, the first one is not favorable for aurora photography because of a full moon, so we have to pick the second one. Travel to Gates of the Arctic is best done by bush plane drop-offs. Since the pilots usually cannot guarantee a pick-up after the third week of September, we are planning to get out by rafting down the North Fork of the Koyukuk River instead. It's going to be a tough trip rafting in freezing conditions, at a time of the year when the weather is unstable. On the other hand, the combination of rugged mountains, a flowing river, possibly snow on the ground, may let me, with a bit of luck, create aurora photographs not seen before from this part of the world. :: I think anyone who has done an online search, visited Google Earth, or looked for landscape images has come across your work. You've had a blog now for a while, as well. Talk a bit about how you promote yourself and the challenges to keep up with having such a big online presence. Until the past few years, my sole means of promotion has been to publish images on my website and rely on search engine optimization. My website receives about 500,000 visits per month (according to Google Analytics). To get that sort of visitation, you need to have an extensive body of work so that you can feature a lot of good images (I have more than 26,000); they need to be well captioned, to be found by search engines; the site design has to provide a great experience for people to like your pages enough to link to them; and to manage that many images is nearly impossible without a custom content management system, which I had to create from scratch. :: What piece of advice would you pass on to a new photographer just getting his/her start? Make a lot of photographs, of what you love. Look at a lot of photographs, understand why you like some better than others.